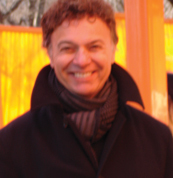 Dr.Vincent Covello is the founder and Director of the Center for Risk Communication in the United States. He is an internationally recognized trainer, researcher, consultant and expert in crisis, conflict, change, and risk and crisis communications. Dr. Covello serves as a lead consultant, trainer, and advisor for the World Health Organization, the US Department of Health and Human Services, the US Department of Energy, and the US Centers for Disease Control and Prevention. Dr. Covello serves on the editorial board of several journals and is the Past President of the Society for Risk Analysis, a professional association with over 3000 members. Dr. Covello received his doctorate from Columbia University. He has authored or edited more than 25 books and over 75 published scientific articles on risk and crisis communications. His most recent book is Effective Media Communication During Public Health Emergencies:AWorld Health Organization Handbook. 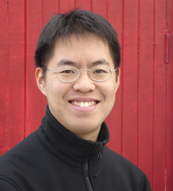 Dr.Vincent Lam was born in London, Ontario. His family is from the expatriate Chinese community of Vietnam. He studied medicine in Toronto, where he works as an emergency physician and as a writer. Dr. Lam’s first collection of short stories, Bloodletting and Miraculous Cures, won the 2006 Giller Prize, and is currently being adapted for television. Dr. Lam’s non-fiction writing has appeared in The Globe and Mail,The National Post,The Toronto Star, and Toronto Life Magazine. He is the co-author of The Flu Pandemic and You, a practical Canadian guide to pandemic influenza. His forthcoming novel, Cholon Near Forgotten, tells the tale of a Chinese gambler in 1960’s Saigon, and will be published in Canada by Doubleday. Dr. Lam lives with his wife and son in Toronto. Angela Robertson is the Executive Director of Sistering: A Woman’s Place, a multi-service women’s organization for marginalized, poor and homeless women.Angela is a past Co-Chair of Nightwood Theatre and Central Neighbourhood House, current Chair of the Black Coalition for AIDS Prevention and member of Second Harvest Board of Directors. She was co-founder and Chair for five years of Blackness Yes!, sponsor of Blackorama at PRIDE. Angela co-edited (with Ena Dua) Scratching the Surface: Canadian Anti-Racist Feminist Thought (Women’s Educational Press) and was coordinator of Sistering’s community-based research report Common Occurrence: The Impact of Homelessness on Women’s Health.Angela has been recognized by Toronto’s NOW Magazine as a top 10 community activist on social justice issues, received the Rubena Willis Women of Distinction Award for her work on violence against women, and the Urban Alliance on Race Relations Awards for her work on equality and social justice issues. 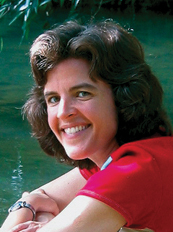 Michele Simon is a public health lawyer in the United States who has been working as a nutrition advocate since 1996, specializing in legal strategies and food industry tactics. She has published numerous articles about such issues as the National School Lunch Program, the USDA’s dietary guidelines, banning obesity lawsuits, and corporate lobbying. She lectures extensively and teaches Health Policy at the University of California, Hastings College of Law, where she also received her law degree. Michele obtained her master’s degree in public health from Yale University. She is the author of Appetite for Profit: How the Food Industry Undermines Our Health and How to Fight Back, which Library Journal calls an “essential purchase” and recommends as a follow-up to Fast Food Nation and Food Politics. Marion Nestle has made Appetite for Profit required reading for her nutrition students at New York University. Michele is currently Research and Policy Director for the Marin Institute, an alcohol industry watchdog. 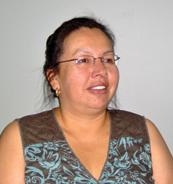 Janet Gordon has worked in the health care system in the Sioux Lookout Area for many years. She is currently director of health services with the Sioux Lookout First Nations Health Authority and works on a path that will bring change to health care for First Nations in the area. Ms. Gordon provides management, advocacy and advisory support to health services and programs that are delivered to First Nation communities. She was the project manager to the District Health planning project, supporting the development of a Primary Health Care system with a First Nations governance structure. She continues to be in a leadership role with the implementation of the Anishinawbe Health Plan. 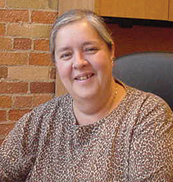 Sylvia Maracle is a Mohawk from Tyendinaga Mohawk Territories and has been the Executive Director of the Ontario Federation of Indian Friendship Centres since 1979. Ms. Maracle is the Chair of the Noojimawin Health Authority and a member of the Joint Management Committee of the Aboriginal Healing and Wellness Strategy since its inception in 1994. She was the founding Chair of the National Aboriginal Headstart Committee; founding member of Ka:nen Our Children Our Future; President of the Board of Native Child and Family Services of Toronto for ten years; and President of the Board of Directors of Native Women’s Resource Centre for ten years. Ms. Maracle is involved in many additional activities, including addressing violence against Aboriginal women, urban Aboriginal children and youth programming, traditional healing, culture-based programming, health planning and education. Dr. Janet Smylie has recently joined St. Michael’s Hospital as a research scientist at the Centre for Research on Inner City Health. She is an Associate Professor in the Department of Public Health Sciences at the University of Toronto and past Director of the Indigenous Peoples Health Research Centre in Saskatchewan. Dr. Smylie completed her Masters of Public Health Degree at Johns Hopkins University. 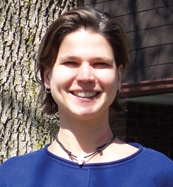 She has practiced and taught family medicine in a variety of Aboriginal communities, both urban and rural. She is a member of the Métis Nation of Ontario, with Métis roots in Saskatchewan. She is the vice-president of the Indigenous Physicians Association in Canada. Her current research interests include: health indicators of relevance to Aboriginal communities; interfacing Indigenous knowledge and Western science; and the health of young Aboriginal families. 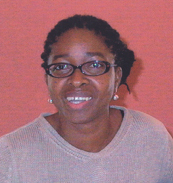 She holds a senior research fellowship from the Canadian Institutes of Health Research.